Kit Contents Front and rear springs, Threaded collars, Bumpstops, suspension packers, and installation hardware. Rear Maximum Lowering (in) 1.5"
For the driver that demands the best out of their vehicle. The Dinan Adjustable Coil-Over Suspension was bred in the race lab but refined on the street for maximum versatility. No matter the environment, the traction that is bestowed upon the vehicle from the improved suspension will inspire new found confidence when running at higher speeds. Combined with a substantial reduction in body roll as well as reducing dive under breaking and squat under acceleration. Dinan will guarantee you superior handling, performance, and comfort. 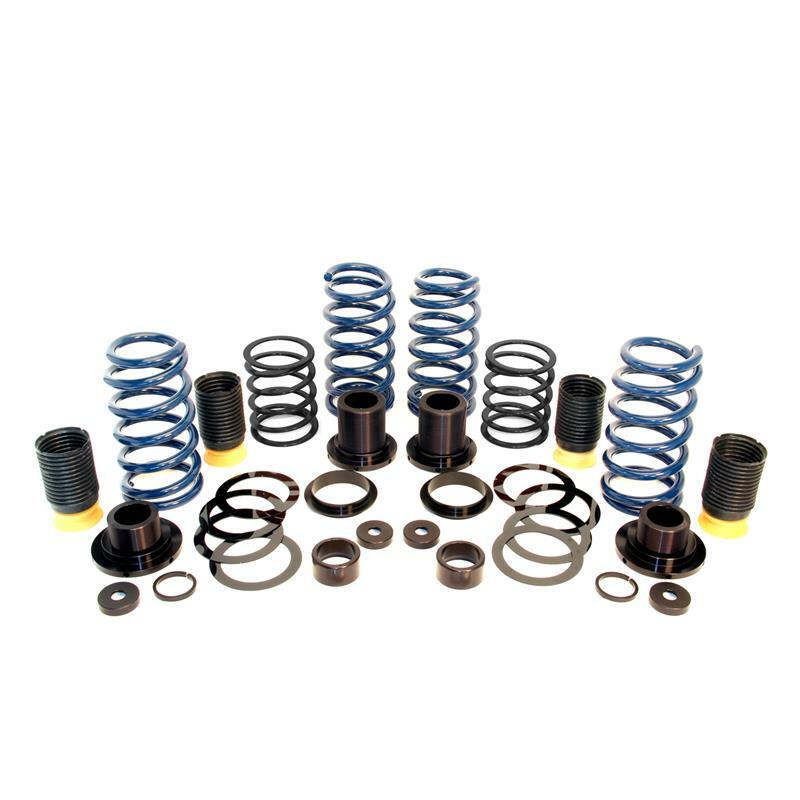 Dinans design keeps the factory Electronic Damper Control shocks in place and implements threaded collars to allow the user to change the ride height. 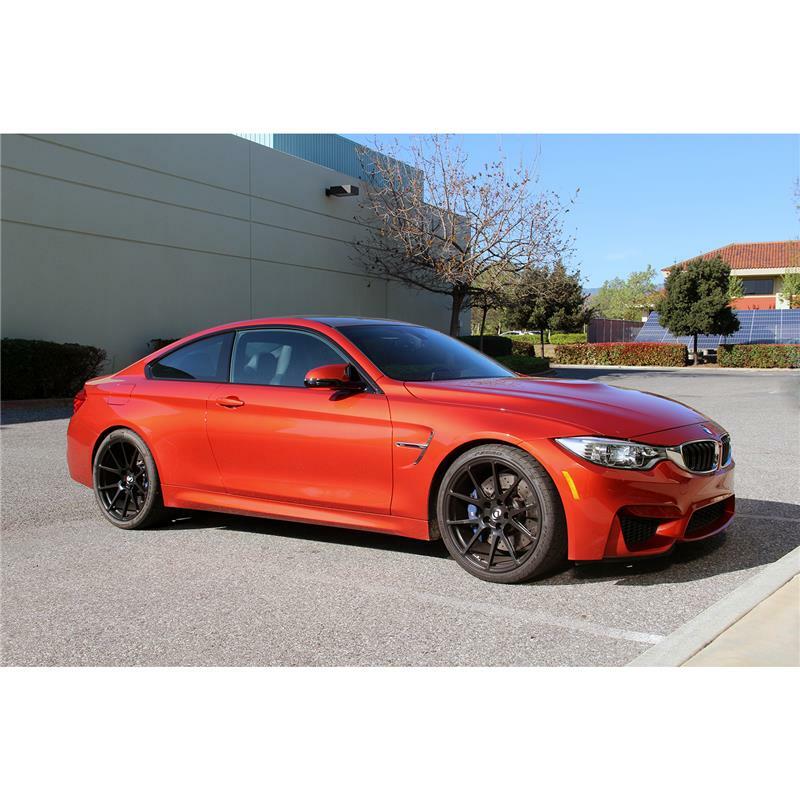 The end result is a sleek lowered stance that provides improved handling to go along with its stunning visual appearance. 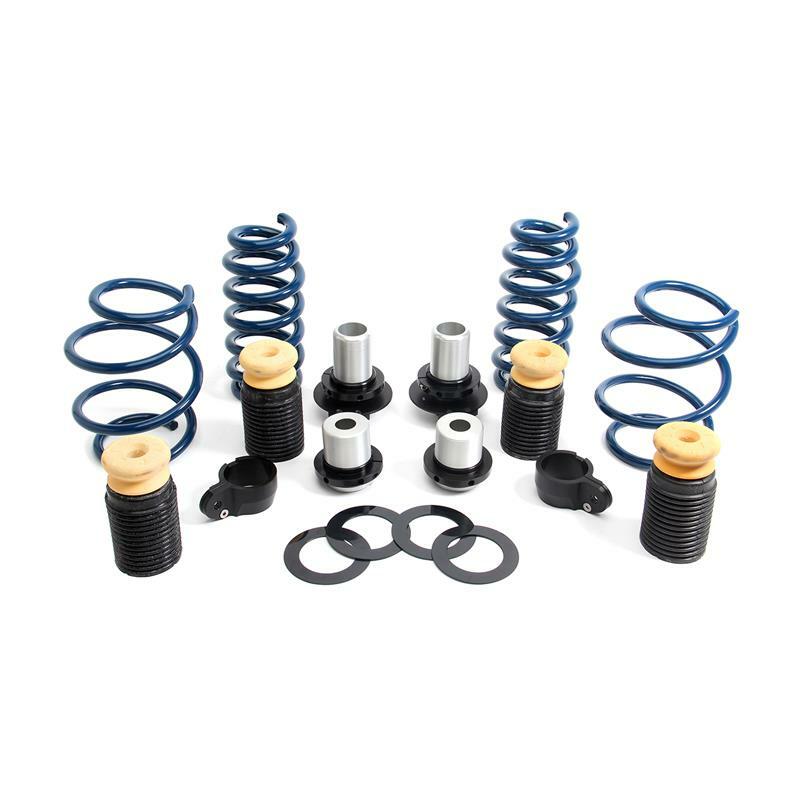 The springs combined with progressive bump stops and other components increase travel that allows the car to be lowered up to a 1.25”. Suspension packers are included to fine tune handling and comfort by changing the clearance of the progressive bump-stops, something no respectable racecar is without. Components are machined from 6061-T6 aluminum and black anodized for appearance and corrosion protection. Threaded collars allow easy and precise front & rear vehicle height adjustments. Up to 1 1/4” of lowering is possible depending on tire clearance although 3/4” drop is recommended to maintain ride quality. Spring rates are 15% stiffer for both front and rear. Substantial reduction in body roll. Components are machined from 6061-T6 aluminum and black anodized for a sporty appearance as well as corrosion protection. Compatible with BMW EDC shocks.